Sign Up For the SALLY FACE NEWSLETTER! In this story-driven adventure game, players will interact with Sal's world and his nightmares. The main path typically requires casual effort. However, there are hidden surprises to be found and bonus mysteries that may invoke a bit of head-scratching for those players up to the challenge. The game is broken up into short episodes, of which there will be a total of five. The first four are out now and the fifth is currently in development. 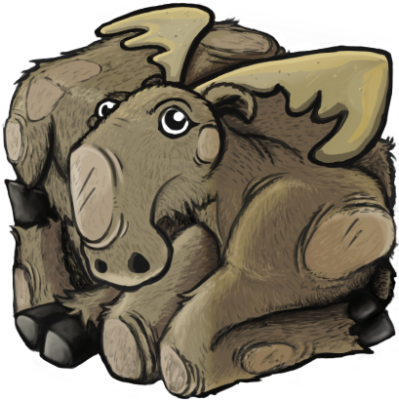 Portable Moose is a one-man-development-team. named Steve Gabry. That's me! I'm an independent game developer from Pittsburgh, PA, USA and have been designing and developing games for around 10 years. My previous endeavors include working as Creative Director on Crowman & Wolfboy by Wither Studios, teaching Game Deisgn and building a lot of smaller games and prototypes. I have been working on Sally Face in my free time since early 2015. Every part of the game is created by me: including art, design, music and so on. As of November 2016 I'll be focusing on Sally Face full time. Since I'm developing Sally Face on my own (including Art, Music, Design, etc), I am not currently seeking assistance in any field. Follow me on social media and keep an eye out for new projects. ​​When is Episode Five coming out? When do the main events/memories take place? ​Will the game be available on mobile devices or consoles? Currently there are no plans for mobile or console ports. This is something that could possibly happen in the future but not until the full game is released. What are the inspirations for Sally Face? Life, 90's cartoons, the strangeness of humans, the inability to turn my brain off... probably many other things as well. See my blog post " The Complicated History of Sally Face" for more details. Is Charley supposed to be commentary on Bronies? Nope, he's just a guy who is passionate about the media he likes. 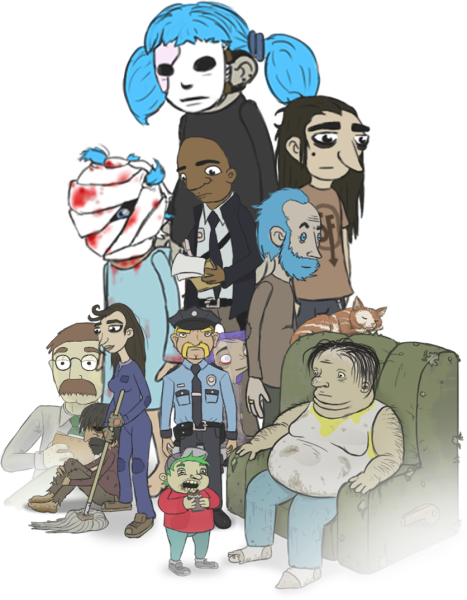 Can we sell Sally Face Fan Merchandise? I don't mind if you'd like to sell your fanart. However, please do not use direct copies or reproductions of art / designs from the game itself. I would, of course, prefer that people purchased Official Sally Face merch, to support future development. What happened to Sal's Face? Something unpleasant. More information will be revealed in time. Is Sanity's Fall a real band? No, this is a fictional band that exists within the Sally Face universe. The music was all created by me. Will you translate Sally Face in my language? At this time, I won't be doing any more translations than what I'm already working with. Once I'm finished with the full series then I will consider adding more language support. If you're interested in helping with translations please wait until episode 5 is finished before contacting me. What is Sally Face's gender? What about character sexual preferences and fan shipping? While I do not like to directly comment on these subjects, I do appreciate that fans of Sally Face are invested in the characters. Copyright © Steve Gabry. All Rights Reserved.